Happy New Year!!!! 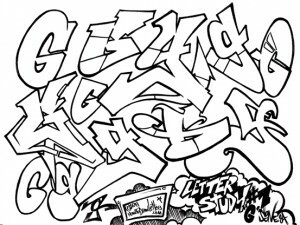 Letter Study: The difficult letter F in graffiti style! Forum and Gallery Added Today!!!! Its been a long time……. Anyway, here’s one of my favourite letters(for obvious reasons). The letter ‘G’ in deviant graffiti style! It’s a pretty simple letter. Really ,just a “C” with a stick in it’s capital form, but there’s so much there to build on! I have been practicing this letter with some fierce intensity since around 1991 so it comes to me kinda natural, but it shouldn’t be hard for anyone to master. I do want you to take notice of something in each of these studies though, as the aspiring graffiti artist tends to make one very common mistake. Note that whatever letter it is, in whatever style it’s done, all of the letters in the studies I have posted are based in the most basic and simple geometry of the letter itself. In other words, nevermind all the extensions, arrows, cracks and silly decorations. 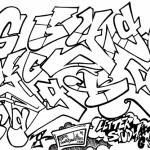 The basis of just about all graffiti lettering, the power of this grand skill, comes from knowing the letter itself in its most simple and functional incarnation. Do yourself a huge favour and take a look at all the typography that catches your eye. There is a reason that the huge billboards and full-page magazine ads are almost NEVER done in stylized typefaces. This should tell you something. Practice your letters in simple form and the stylish stuff will come easy.